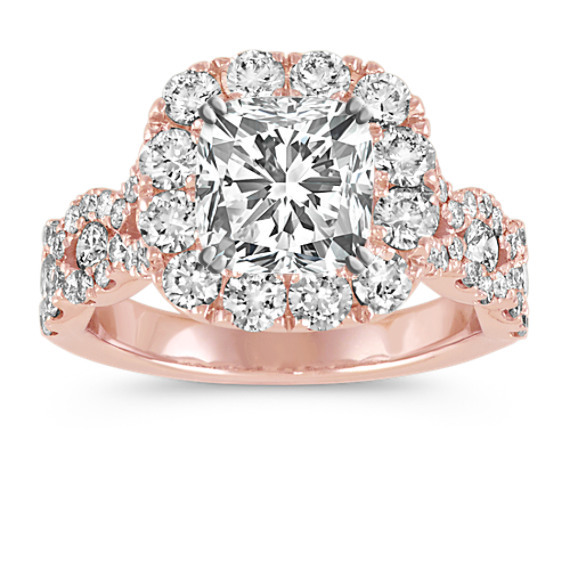 Cushion Halo Swirl Diamond Engagement Ring | Shane Co.
Crafted in quality 14 karat rose gold, sixty-eight round pave-set diamonds, at approximately 1.53 carats total weight, provide beautiful brilliance to this halo engagement ring. Each diamond in this 5mm ring setting has been hand-selected for exceptional brilliance and complete this setting with the 1.50 carat gemstone of your choice. Gemstone Carat Weight :1.53 ct. t.w.